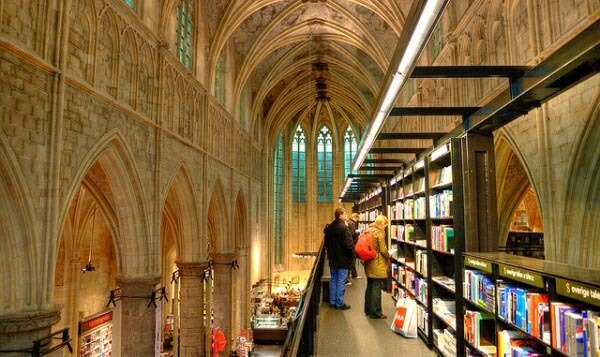 Above, you see the more than 700-year-old Dominican church in Maastricht, Netherlands, which was transformed into a bookstore in 2006. 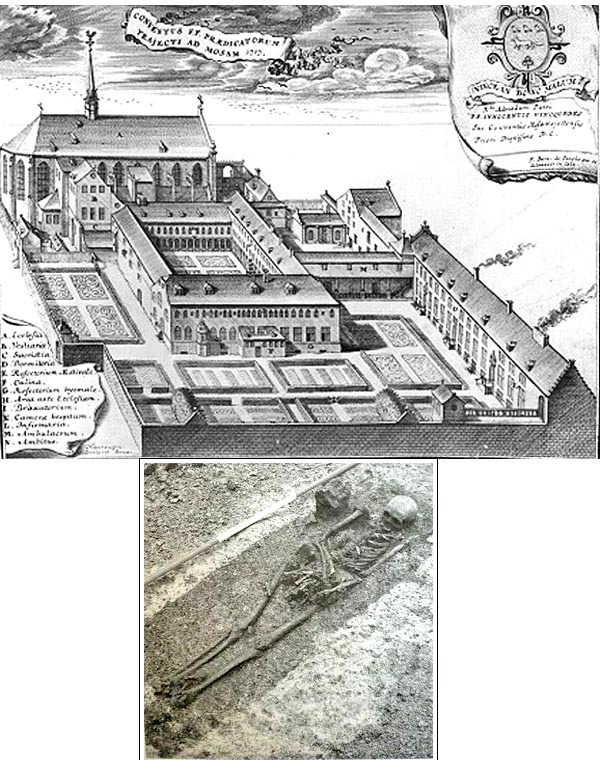 Construction began on the Dominican Monastery in 1267 and the church was consecrated in 1294 - see sketch in the second row below. Five hundred years later, in 1794, Napoleon's troops expelled the Dominicans and turned the church into horse stables. Later the Monastery became a property of the Diocese, which restored it in 1910. After some time a new period of abandonment started. The Monastery's church was rented out for Carnival festivals, new car expositions and boxing matches, among other inappropriate activities. 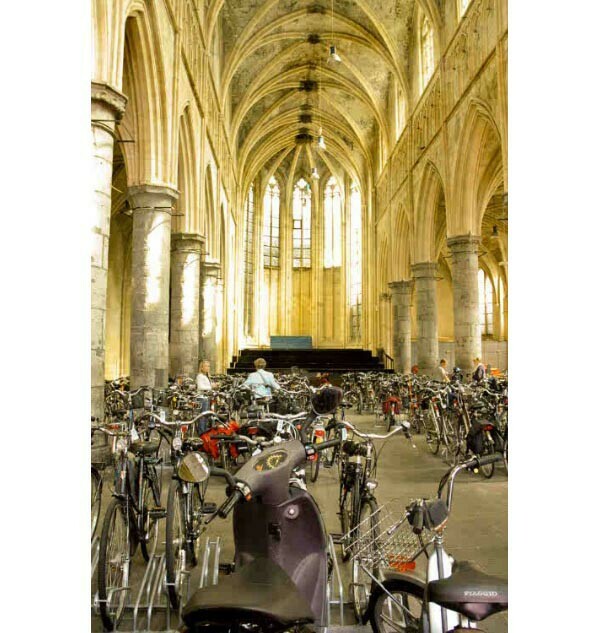 Later the church was transformed into a facility to park bikes, first row below. When we hear that Napoleon turned the Church into horse stables, we become indignant and correctly say: "This expresses the characteristic hatred of a Freemason for the Catholic Church." Now, why do we not become indignant and say similar things when we see progressivists Bishops handing over our Catholic churches around the world for all types of profane uses? Can we not see that they are doing precisely the same thing the enemies of the Church would do were they to infiltrate the Church and become Bishops? It was not by chance that Our Lord told us: "By their fruits you shall know them. Do men gather grapes of thorns, or figs of thistles? (Matthew 7:16)"
During construction work for the bookstore, the sepulchres of those buried on church soil were desecrated as well. Last row, the photo of one of the skeletons found there. For more on this topic, read here.